To create an excel file using PHP needed a php class named PHPExcel 1.8.0. PHPExcel has been frequently discussed in php sites, whereas this article I would like to remind how easy create an excel file with php using a class from Balliauw Maarten and his team. 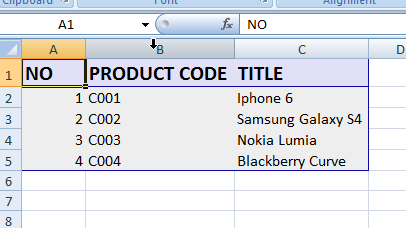 In addition to create an excel file, class PHPExcel can also be used to read the excel file. 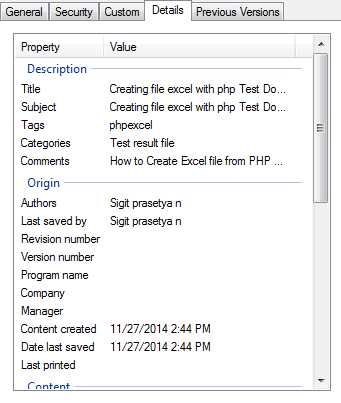 Specifically, this article will discuss how to create or writing an excel file using php. 1. Easy and simple to use. 2. Create php file as create_excel.php. 3. 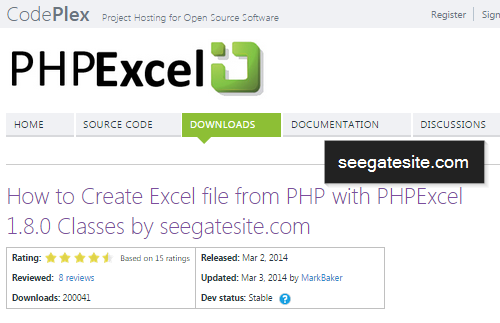 Please copy PHPExcel.php in the same folder with create_excel.php.